If you are looking for good Plumber in Dublin 11, please look at the video review below before you choose. In this customer video review, Cara tells of her satisfaction after using our plumbing and drain cleaning services. This is a genuine customer review from a resident who lives and works in Dublin 11. We called out to her in February 2019. Dublin Plumbers Co-op have being providing a quality, professional plumbing, heating and blocked drains service in Dublin 11 since 2013. Our Plumbers in Dublin 11 are highly experienced in all aspects of plumbing. We provide a friendly, knowledgeable service at all times. We are available on a 24 hour basis to cater for any plumbing emergency you might encounter. Quite often we can help our customers over the telephone thereby avoiding the need to call out a plumber. If you have any kind of plumbing issue, call us now to receive free, professional helpful advice. Here is a short list highlighting just some of the plumbing and heating services we provide in Dublin 11. Repairs to All Makes of Gas and Oil Boilers. Leaking Hot Water Cylinder Repairs and Replacement. Ballcock Replacement on Attic Cold Water Storage Tank. Toilet Not Flushing/Filling Repairs & Toilet Replacement. Replacement/Repair of Broken or Leaking Kitchen Sink and Bathroom Taps. If you are currently experiencing any of the above plumbing issues, talk to us on 01-823 2324 or on 086 357 9495. Need to replace your gas boiler? If so, we can help you save €100’s on the cost of your gas boiler replacement. Our large team of RGI registered gas installers offer the fastest turnaround time of 24 to 48 hours. Our gas boiler replacement rates are extremely competitive and our quality of work is second to none. To help reduce the cost to replace your boiler and upgrade your heating contorls and system, the SEAI offer grants towards the cost. Our RGI gas installers are also SEAI registered so they can guide you through the grant process and filling in the paperwork. We offer a free gas boiler replacement survey in Dublin 11 and a free no obligation quote by email. Simply call us on 01-823 2324 or 086 357 9495 to arrange for one of our RGI technicains to acll out to you free of charge. Gas boiler replacement signs to watch out for. Your Boiler is More than 10 old. Gas Boiler Leaking Water From The Bottom. If Your Boiler is Making a Banging noise. Gas or Oil Boiler is Completely Dead. These are just some of the signs that may indicate your boiler may need to be replaced. If you have any of these symptoms, call us immediately for help and advice. We can advise you if you need one of our gas engineers to call out. We all know that gas boilers breakdown but why do they always seem to breakdown at the worse possible time? Boilers tend to breakdown when they are in use the most, which is usually during the winter months. If your oil or gas boiler is not working, don’t hesitate to call us out at any time. 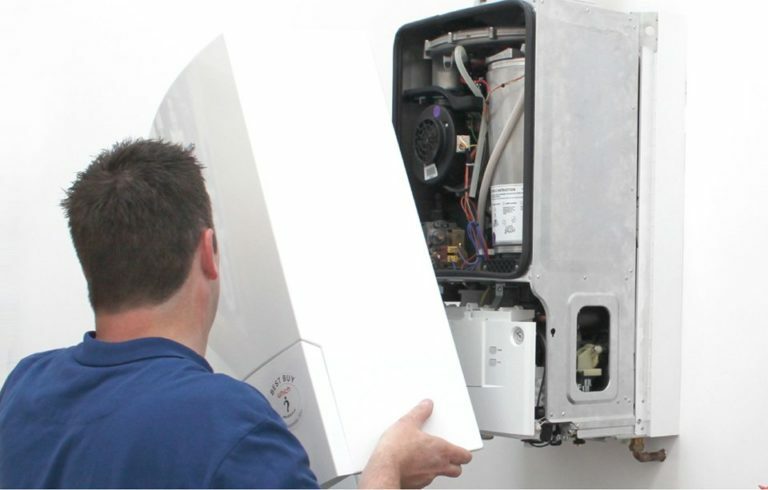 We offer a 24 hour emergency gas boiler repair service in Dublin 11. The following is a list of some symptoms that may mean your boiler is need of repair. Clicking Noise But It Won’t start/ignite. Hot Water leaking from the boiler. Boiler Starts But Shuts Down After a Couple of Minutes. Your Boiler is Making Unusual noises. Fault Code Appearing on The Boiler. Boiler Has No Power And is Completely Dead. There are many signs your boiler could show that indicates it is in need of repair and not just the ones listed above. If you feel your oil or gas boiler is not operating as it should, please contact us now. We may be able to get your boiler up and running again over the telephone without the need of a repair callout. If not, we can arrange for one of our boiler repair technicians to call out to you. In most cases, we can have a repair technician at your door within one hour of receiving your call. One of the most unpleasant experience you may have with your home or commercial plumbing is blocked drains. When your drains are blocked, it is naturally a very smelly and messy job to get them cleared. But don’t worry, professional help is on hand. We provide a fast, emergency drain unblocking service in Dublin 11. Our blocked drains rates are one of, if not, the lowest in Dublin. Our drain unblocking vans are equipment with high pressure water jetting machinery to clear any blockage, fast. When we attend to your blocked drains problem, we not only clear the drains, but we also clean them. Cleaning your blocked drain line will clear all debris and sludge bring your drains back to their original free-flowing condition. This will help to minimise blockages in the future. We also provide a drains CCTV inspection survey service. If you find that your drains are blocking up regularly, then you will need to have a CCTV inspection carried out to find the cause. l rang Patrick with an issue with a water leak and he was very professional on the phone. He sent a Plumber out the next day to fix the problem. The plumber was able to get the job done quickly and efficiently. Patrick called me after to explain what the issue was and how the plumber fix the problem. I would have no problem recommending Dublin Plumbers Co op to anyone. Excellent plumbing service and very happy. Will use again. Thank you. Thanks guys for the great job you done in servicing my gas boiler. Very friendly and really nice polite plumber. Will definitely use you again and I will recommend your plumbing service to people I know. I had a blocked downstairs toilet and got dublin plumbers co-op telephone number from the Internet. I rang them and found them to be very polite and friendly. They came out very fast and unblocked the toilet and cleaned everything up which was great. The plumber who called out was very professional and friendly. I would recommend using this company because I found them to be very good.